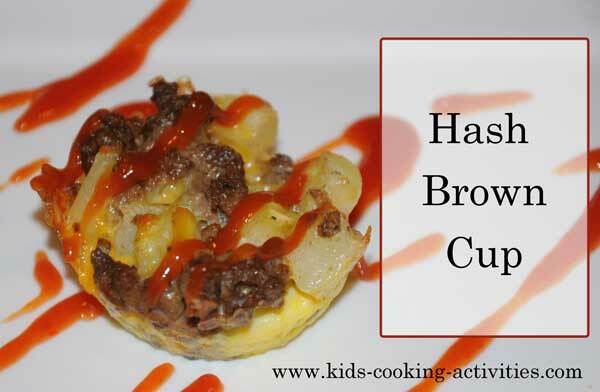 Cooking in muffin cups or silicone cups is a fun way for kids to create individual snacks, desserts or dinner items. We recommend spraying each muffin tin or cup and/or using muffin liners to prevent messy clean up. We've included 6 ideas on muffin tin cooking here including a breakfast, snack, lunch, dinner and desert recipe. 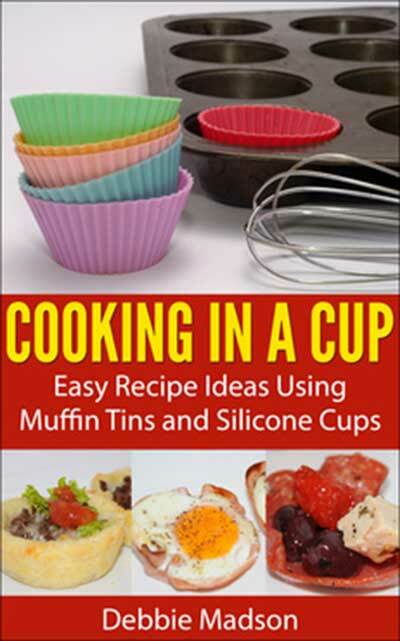 Check out our Kindle cookbook for more muffin tin recipes. Preheat the oven to 205°C/400°F. Shred 3-4 potatoes. Brush a 12-hole muffin pan with melted butter use liners or silicone cups for easier clean up. Press 3 to 4 tablespoons of grated potato into each muffin hole, using your fingers to shape the potato into a nest. Brush lightly again with melted butter, then bake for 15 to 20 minutes. 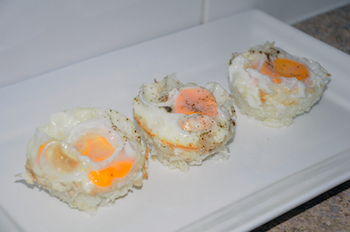 Allow the nests to cool and then crack an egg into each one. Sprinkle with salt and pepper and bake for about 15 minutes until the whites are set. Add ground beef and taco seasoning into a skillet, cook until no longer pink and drain. Preheat oven to 180° C/350°F. Brush muffin pans with olive oil. Line each pan with pastry. Press the pastry to fit neatly into the cups. Spoon refried beans into each cup and top with ground beef. Sprinkle with cheese and bake for 10 minutes, or until cheese melts. Sprinkle with lettuce, tomato, onions and/ or avocado. 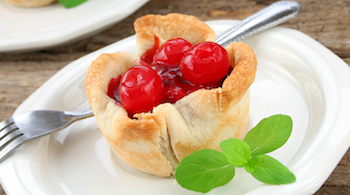 Make mini cherry pies in muffin cups. Cut pie dough into small circles. 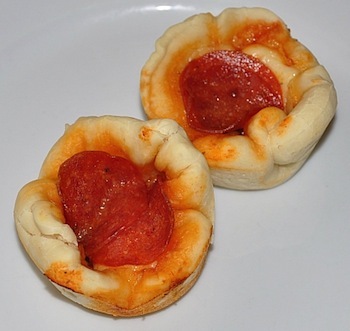 Press dough into muffin tins and add cherry pie filling. Bake at 350 degrees until crust is golden brown. Preheat oven to 180° C/350°F. 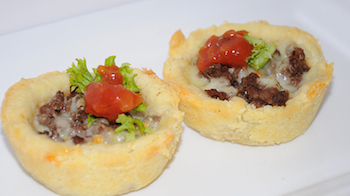 Brush muffin pans with oil and place one pie crust in each cup. Bake for 10 minutes or until pie crust is crisp and golden. Spoon hummus into each cup, and top with chopped tomatoes and cucumber. Brush 2 -12-cup muffin pans lightly with vegetable oil. Brown beef in pan and drain fat. In a large bowl, mix beef, cheese, and eggs. Add hash browns and stir to combine. Use an ice-cream scoop to place spoonfuls of mixture into muffin pan, filling each muffin tin to the top. *You can use fresh potatoes but youll need to chop them. Then boil them in a pan of water until soft.